Manchester United caretaker manager Ole Gunnar Solskjaer is not anticipating new arrivals in January. United caretaker manager Solskjaer confirmed on Friday he will hold talks with executive vice-chairman Ed Woodward over the Premier League club's transfer plans this month. The centre-back position has been cause for concern after former boss Jose Mourinho tried to sign Leicester City's Harry Maguire and Tottenham defender Toby Alderweireld before the start of the season. Napoli star Kalidou Koulibaly and Roma's Kostas Manolas have now been linked with moves to Old Trafford, however, Solskjaer is not anticipating new arrivals in January. "I'm happy with the squad I've got," Solskjaer said. "I don't expect anyone to come in but obviously if the club have targeted and identified a few and I think they might fit here, I'll give my thumbs up. But it's not just my decision. "Nobody had to tell me I had loads of talented players [to inherit at United]. I can see that from outside. "We didn't speak too much about what's been going on, to be honest. It was about seeing what you can do to go back to the way we used to play, the way Man United are supposed to play, exciting football. We're looking a little bit like we want to see the team [we want to see]." 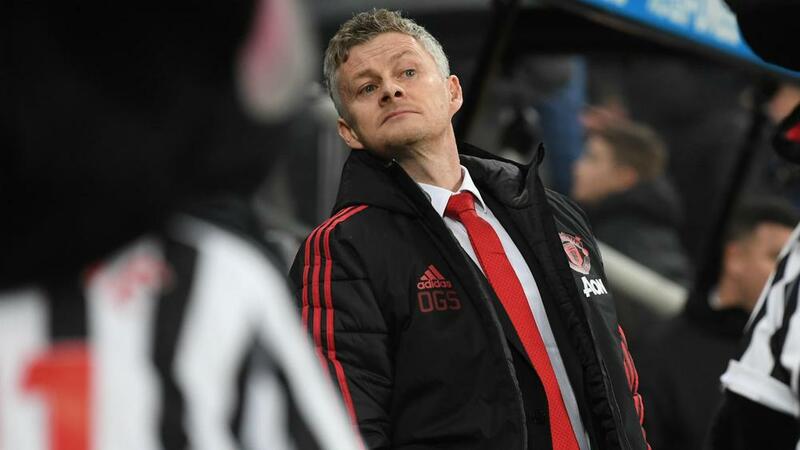 Solskjaer – who was appointed until the end of the season after Mourinho's sacking in December – has overseen four successive victories.